It’s 1997, and my parents inform me that I can go to the local Electronics Boutique for the first time to purchase a videogame of my choosing. To me, this is a rite of passage, and I scour the few copies of PC Gamer I own for some semblance of what might be the appropriate game for an adult of 11 to own. When we arrive, I breathe in the smell of fresh plastic and cardboard for only a moment before something catches my eye. A rectangular box with a silhouette of a human-shaped target bathed in red and blue light emblazoned across the cover. Nothing in my magazines has prepared me for this, but when I read the title I know I have to have it. 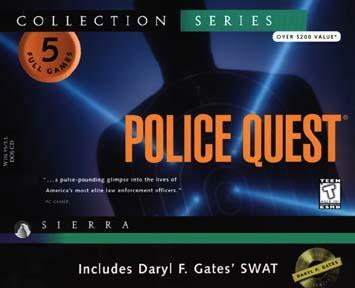 On the ride home I recite the title over and over under my breath: Police Quest. Police Quest was my first taste of what I considered to be a more mature type of game. Having grown up sitting next to my parents watching Law & Order, I had spent many an hour in my room dreaming about what it would be like to be a cop. The fact that this game required you to fully immerse yourself in the minutiae of the role only heightened my excitement. What I purchased was a collection containing the first six games in the series and I played them incessantly. It took me a couple of years to actually beat them, however. The game relied heavily on having an adult’s understanding of society; not knowing that I had to tip a bartender impeded me for months. When I finally finished the sixth game, I felt I had a thorough understanding of what it meant to be a police officer and how their role fit into the wider adult world. The fact is, I couldn’t have been more wrong. It’s 2014 and I’m sitting at my desk searching through my backlog of unfinished games. I remember that I never completed GTA IV and decide to purchase it on Steam on a whim. As I’m waiting for it to download, I aimlessly browse the Internet for mods and stumble across something that, for a brief moment, makes me feel like a kid again. The lengthy manual for Liberty City Police Department: First Response proudly lists in bold all the realistic police procedures it adds to the game. There are also hundreds of community add-ons which provide enhancements such as city-specific uniforms, brand-accurate weapon holsters and accurate cuffing animations. What I found was exactly what I hoped for as a kid: Police Quest, but bigger, brighter, and more in-depth. 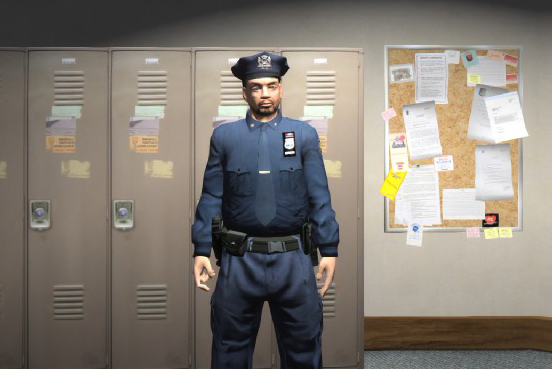 What follows is a retelling of my first day as a Liberty City Police Officer. My first shift. I switch into uniform and procure my patrol car from the motor pool. In honor of Police Quest I decide to circle the car checking for flat tires even though there is no system for this. I enter my vehicle and turn out onto the main drag in Hove Beach. I wonder if I will be a good cop. I’m slowly creeping through traffic when I receive the notice: a mugging just down the street. I respond Code 3: lights and sirens. Cars move aside as I speed through red lights to the crime scene. I arrive just in time to see the perpetrator holding a man at gunpoint. As I get out of my vehicle he draws his gun and fires at me, his bullet passing through the head of the man he was previously robbing. I return fire, miss, and get closer. When I am a few feet away the man abruptly surrenders. I cuff him and call the paramedics for the civilian. I close my eyes as I hear the sirens draw closer. I’m trying to conjure the type of confused outrage I’d actually feel in this situation. I hear a scream. The ambulance has hit and killed three pedestrians before embedding itself in a pickup truck and then driving away. I’ve finally driven the perpetrator back to the police station, after using both the Road Block and Clear Traffic mechanics to deal with the pileup caused by the ambulance. A man in a brown jacket walks up to my police car and removes the criminal from the back seat. He passes out of my field of view and a notice on my screen tells me that the number of crimes I’ve stopped has increased by 1. I’m told to return to my patrol. Just then a passing patrol car turns on its sirens and pulls up next to me. The police jump out and put two shotgun blasts into the man, killing him instantly. Another notice flashes: Crimes Stopped: +1. I pause the game. I know the manual mentioned something about tasers and wonder why I didn’t have one. I head to the LCPDFR forums and find a topic asking that very question. It is answered by a forum-member named Custo, who goes by the title “The White Cop:” this feature is bugged and they suggest reinstalling the mod. I unpause and call the paramedics but this time I don’t wait for them to arrive. I’m waiting in line at a traffic signal when a silver sedan runs the light, side-swiping my car in the process. I turn on my lights and order the car to pull over. It obeys and I step out, initiating a Traffic Stop. This is where the mod claims it shines. I walk up to the passenger side door, per the Police Safety Manual, and discover a young African-American male, in the driver’s seat, staring back at me. I indicate I want to reproach the man for reckless driving and ask for his license. He hands it to me and I’m directed to return to my vehicle to look up the license on the computer. It comes back expired with a notice of three citations. When I return to the driver I am given only three options: Let off with a warning, issue a citation, or arrest. I don’t want to do any of these things on their own. My gut tells me to ask this guy what is so damn important that he is risking jail time to get somewhere in a hurry. I want to understand this man and where he comes from and whether he is struggling to make rent. The options pulse, indicating I should make a choice. Per the Manual I order him out to arrest him. We’re driving down a darkened boulevard, me and this poor schlub. I had no option to tow his car so it’s most likely been stolen by now and considering there is no system for judicial proceedings I can only assume this man’s fate in prison could be dire. “This isn’t right.” I mouth the words as I pull the cruiser into an alley. Sure. It’s against procedure, but I don’t care anymore. They can have my badge – I’m letting this guy go. He doesn’t deserve a lifetime in prison for one mistake. I tap the button to remove him from the vehicle, and my avatar flings the door open, elbows the man in the head, and throws him to the curb. He flies face-first into the concrete and crumples. Blood pools around his head. A cop walks by. He tips his hat and says “There’s nothing to see here, move it along.” No wanted level. In the eyes of the law, I did nothing wrong. I turn the game off. Unlike the creators of GTA, whose extreme cynicism envisioned a city of hypocrisy and nihilistic amorality, the developers of LCPDFR have created something just as shallow and empty with a completely different set of goals: a child-like form of wish-fulfillment. It is law enforcement done with the zeal of reenactment; perfect in every detail but devoid of an understanding of the consequence and context of the power it wields. 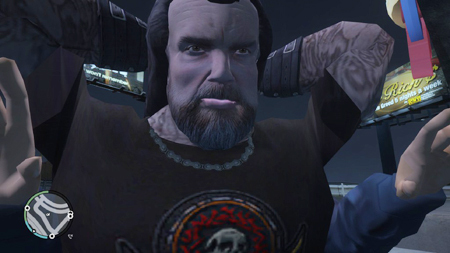 It was my hope that LCPDFR would infuse Liberty City with that depth of consequence I was longing for. Where the interplay between systemic power and individual power would pulse with the uneasy tension we face every day when we try to reconcile our desires with the limits and rules of our society. What I found was the whitest, most middle-class suburban understanding of the police I’ve ever witnessed. LCPDFR, like Police Quest, is a game about a hero who can save the day through the power of proper police procedure. While it stirred me as a child, I’m old enough now to know that what it envisioned is a kind of fantasy. There is a complex series of oppressions inherent in any system that gives humans nearly unlimited power over other humans, and a medium of agency and interactivity is the best way I can think of for exploring and critiquing that. I’m no longer a child; I want more than a badge and a gun. Follow Matt Duhamel as he roams the lawless lands of Twitter in peace @DualHammers. 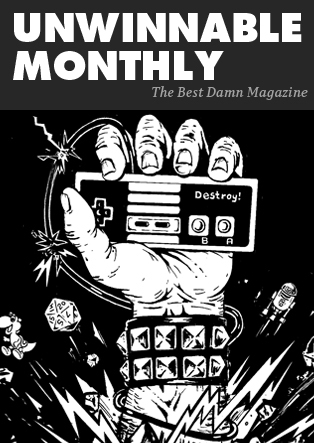 Rookie of the Year: Rocksnore Games Living Dead Cities The World’s What You Make It Where Is My Mind?